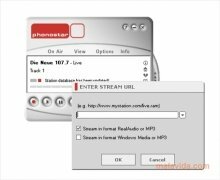 Thanks to Internet radio broadcasting is quickly changing, so you always have to pay attention to new developments that will allow you to enjoy the contents that Internet can offer you. 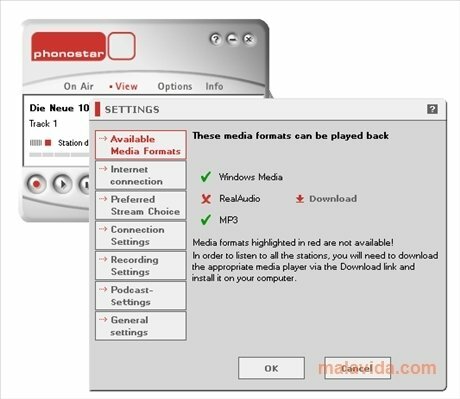 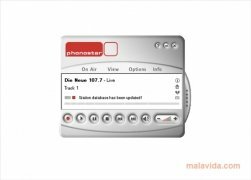 phonostar is an application the purpose of which is to make the most of all the radio stations that broadcast over Internet, thank to the fact that it doesn't allow to synchronize and listen to everything that you want, but it also offers the possibility to be able to record it to your hard drive in WAV and MP3 format. 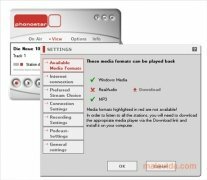 The program's appearance is very appealing, the round shapes predominate, the big buttons and a combination of gray and red that is very nice. 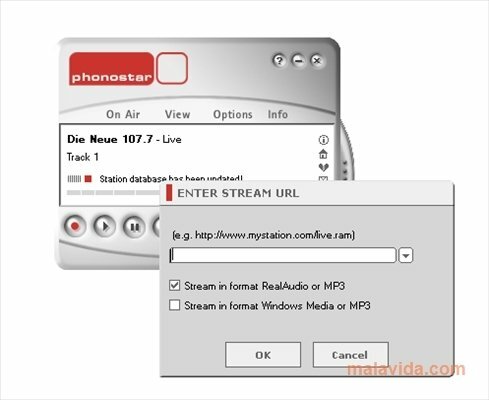 What's more, it is a program that is very easy-to-use, both to add your stations, as well as to manage your favorite broadcasts. 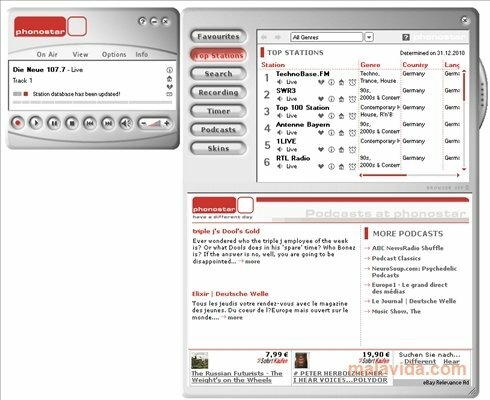 The program's database has more than 4000 stations, so you shouldn't have any problem when it comes to finding the music that your are looking for. Discover the future of the radio, thanks to phonostar.